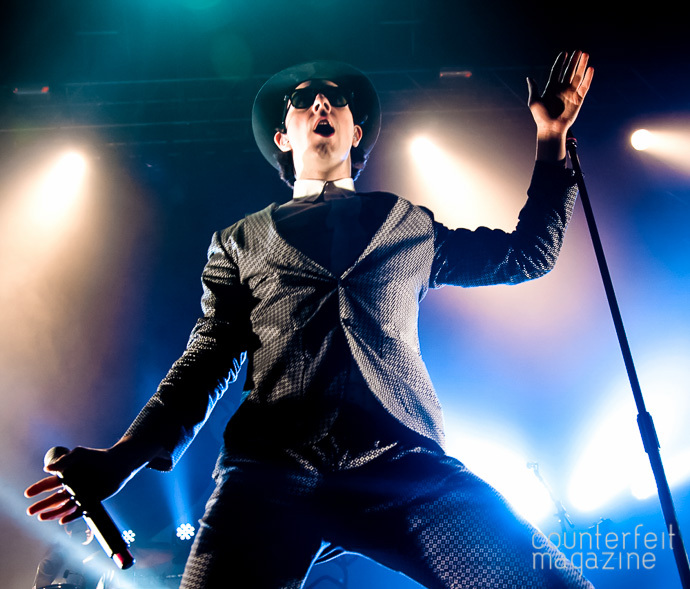 Maximo Park are one of the finer and more original acts to come out of the earlier waves of indie bands very nearly ten years ago. Any member of their audience knows it’s always going to be a lively affair when they come to town and the anticipation levels are set accordingly. 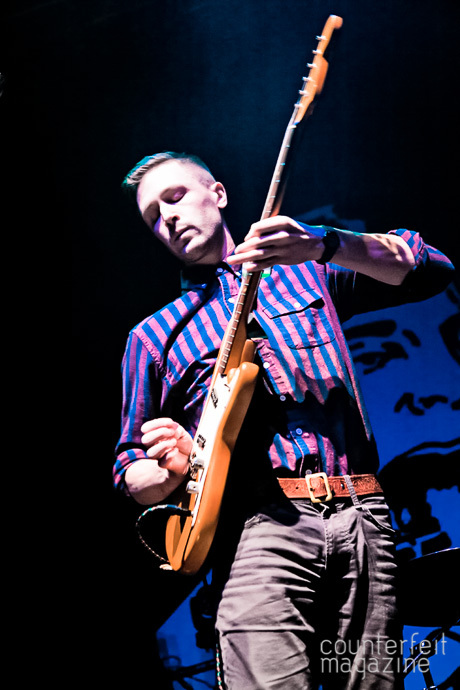 So it is quite the sobering experience when Teleman begin their set. As far as the musical spectrum (and certainly the stage show spectrum) goes I’m not sure if you could’ve paired two bands on a bill that were much more different. Maybe if Enya opened. But she doesn’t really gig. The initial offerings from these four mathlete lookey-likies make me think of a 45 version of ‘This Charming Man’ played at 33 rpm (that’s old money kids, ask your parents or Wikipedia or something) It’s slightly enchanting but doesn’t quite grab the attention fully. I’m not sure what to make of it. 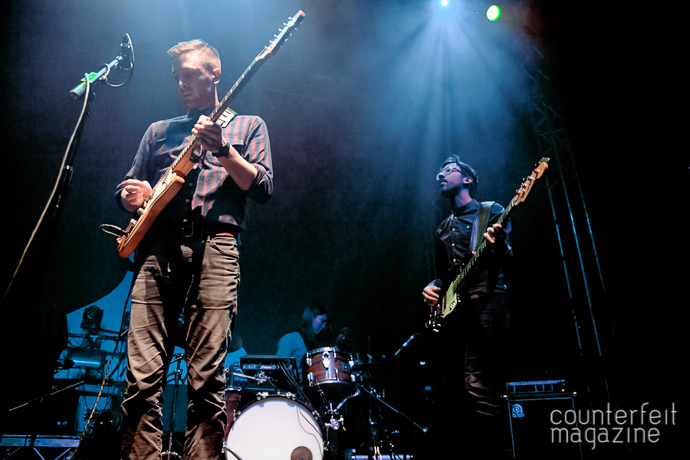 A tepid mix of Belle and Sebastian and The Smiths – all fine and dandy as the music in the back of a scene in a movie or TV show, just not a first choice when it comes to focusing a large room full of people who are quite excited about the headline act. It’s not all off-white and beige though; with later songs giving clues as to what may be found in Teleman’s record collection; Lou Reed, Bowie (Space Oddity, a million quid says they love Space Oddity) and The Beach Boys all show their influence through either whole songs or a vocal or bass line here and there. These bits aren’t at all bad but still lack the required gear change. 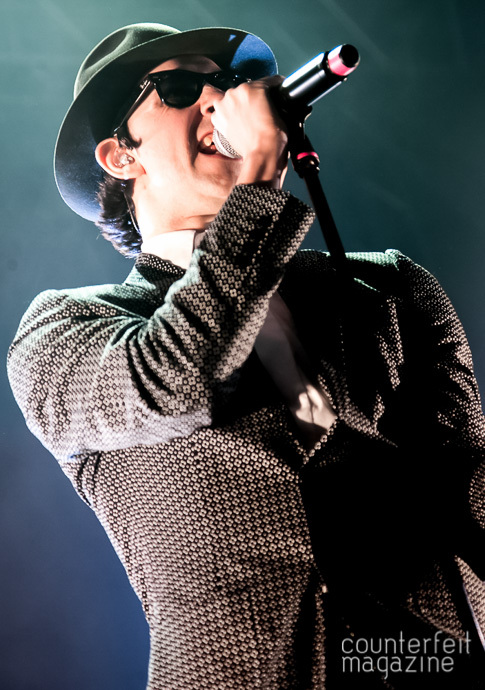 The band members of Maximo Park take up their positions in some dim back-lighting ready to frame the entrance of their frontman and leader, Paul Smith. 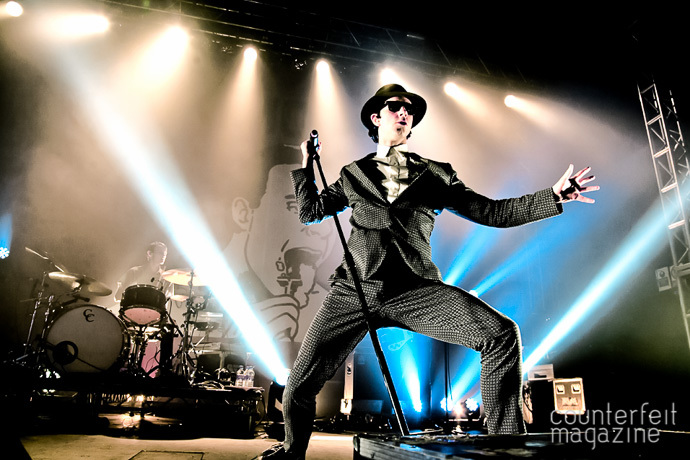 An explosion of lead singer, adorned in a sharp grey suit, dark glasses and trilby appears centre stage; so rarely is he not whipping out exaggerated movements to the music that I begin to believe that he is the solution to the energy shortage that humanity has been looking for all these years. Throwing ‘Our Velocity’ in while the set is barely foetal is a well-planned route to raucousness, the visual onslaught that accompanies it is one of the best I’ve seen in this venue and completes their early assault on the senses. 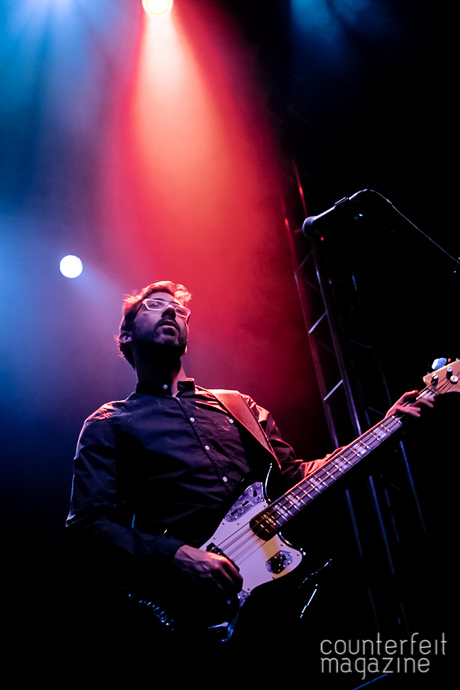 Smith’s cockiness is plucked straight from the rock star handbook and only serves to rile his fans up even more – genuine excitement greets every song they pull from the first two albums, gushing from the crowd’s pores. The older tunes are obviously welcomed, the intricate lyrics being sung back to the band in an almost respectful way and the newer material is welcomed warmly. The brand new material, plucked from last month’s release Too Much Information, is examined – as most new material is on promotional tours – but seems, on the whole to pass the test of winning the approval of the masses. 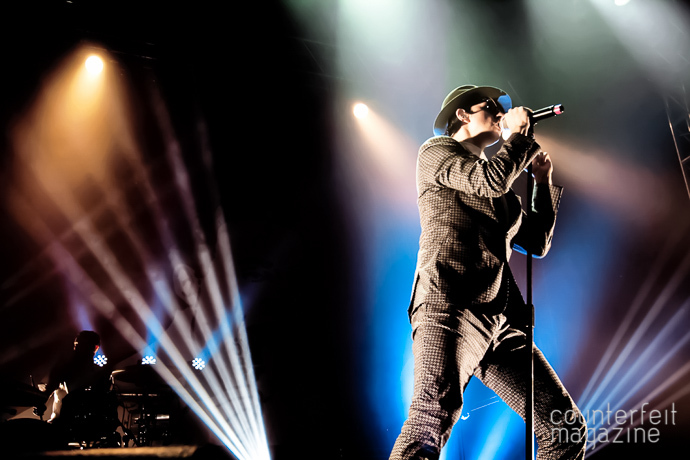 ‘Hips and Lips’ is one of the most successful newer songs – it’s electronica spinal column flexing in the same slick, dark and epic way that it does on the album. Other new (ish) arrivals like ‘The Undercurrents’ are slotted into the set seamlessly – there doesn’t seem to be any songs that don’t have the trademark, intelligent and unguarded writing threaded through it and, as a result, they all fit together well. It’s like one long concept album. 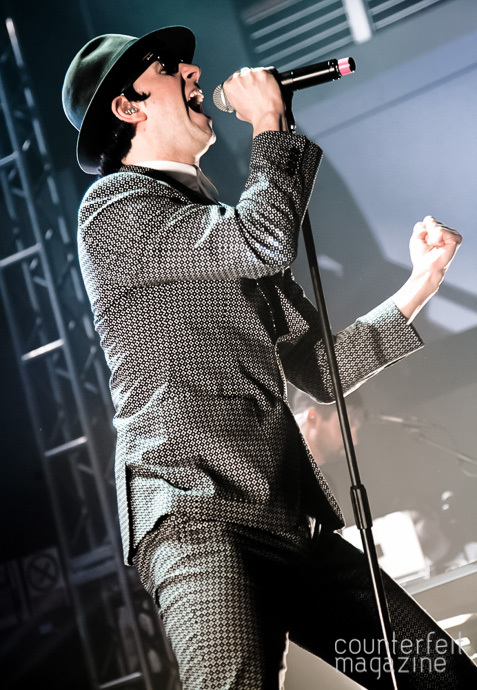 The further into the set they go, the more old favourites are rolled out; ‘Books from Boxes’ and ‘By the Monument’ are probably the best examples of the strangely comforting rainy day, industrial town where every relationship is doomed, musical landscape you’ll find running throughout Maximo Park’s back-catalogue. 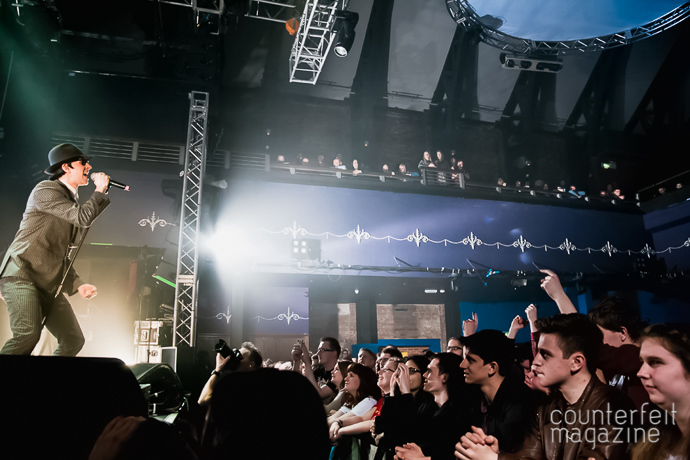 They are two of the most anticipated tracks of the evening and they definitely don’t disappoint. 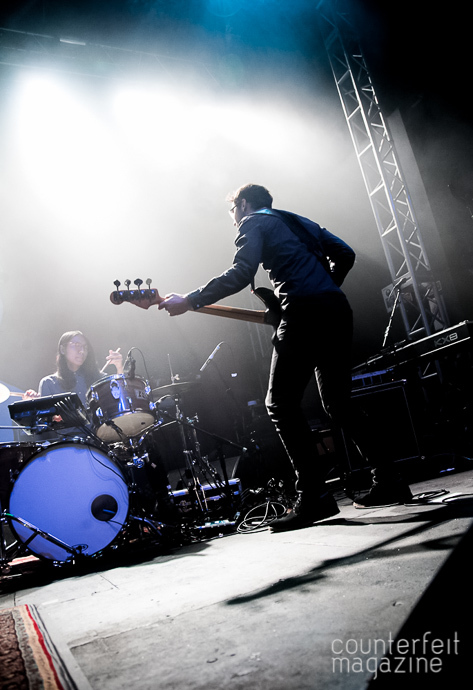 The noise produced by the audience in response to them is duly noted by the band who, for the entire evening, have seemed very aware of how each song is received. It’s like they’re taking notes to be referenced for future shows. One of the perils of plugging a new album is that you have to slot some unknown tunes in amongst those that have been dragging people out of their warm homes on chilly evenings for years and it can give a wavy feel to a show. The trick is to make sure that, by the time the house lights go up, there have been more ups than downs. 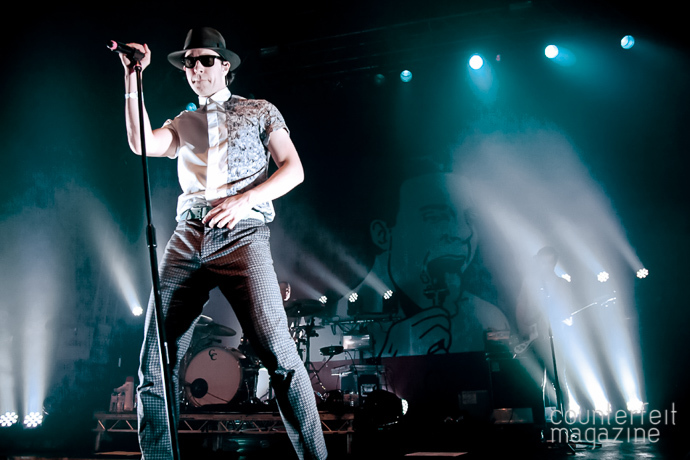 It seems Maximo Park are going to pull that trick off. To ensure success they bring out the big guns; ‘Limassol’, ‘Girls Who Play Guitars’ and ‘Apply Some Pressure’ seem to give people permission to let loose. The band are on a well-rehearsed autopilot now and relax into the final few songs. ‘Midnight on the Hill’ (their next single) sneaks into the home run, holding its own impressively, before ‘Going Missing’ is used to lift the roof one last time. 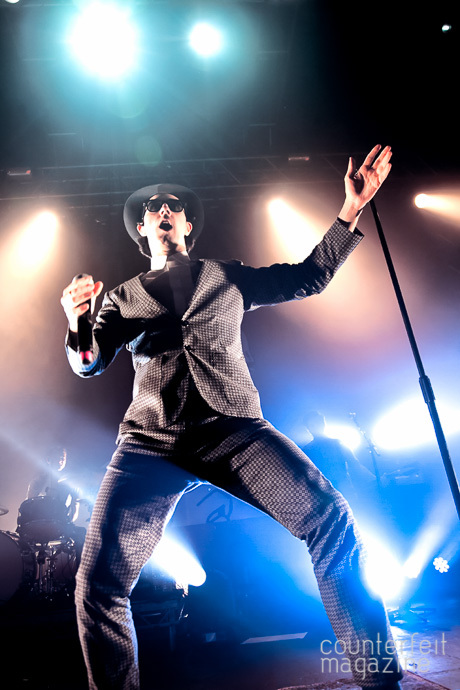 The ingredients for a good show are often sights and sounds of sufficient proportion to create a spectacle and tonight Maximo Park have shifted that in abundance. They’ve spent a decade honing their high octane skills and they don’t look to be in any mood to stop anytime soon.